It is a 1978 book on Artificial Intelligence by Aaron Sloman, professor of Birmingham University. It's not just interesting or representative, it is remarkable for the fact that through the years passed, from the time the book was written, it found its realization in real life like a step-by-step plan. The book mainly consists of philosophical and engineering ideas on intelligence (not only artificial) and relevant topics. After the decades passed we can compare prognoses and current state of the art which shows how these ideas meet its implementation today. Such confirmations highly raise the value of other, more abstract, and further conclusions we can get from the book. One of the core ideas of the book is the described approach which was applied and developed by author at the Birmingham university for AI construction and study of intellect, and the once started work is still on. 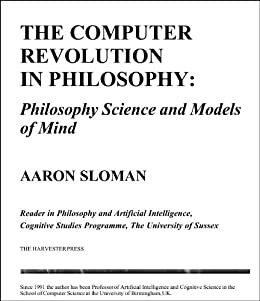 So insights provided by this book show the beginning of coherent and complex actual research on human and artificial intelligence. It is a rare kind of scientific or philosophical book which become more valuable with time.